Everything I’ve seen from the Maple Leafs suggests they value young wingers Johnsson and Kapanen, as they should. Both youngsters have huge upside, and their play has showcased their potentials. Specifically, Johnsson, who scored his 10th goal of the season in a 3-2 loss against the Bruins on Jan. 12. The 24-year-old Swedish forward now has 22 points in 42 games, strong play for a seventh-round pick. He has Mike Babcock’s trust and has looked confident playing in the Maple Leafs’ top-six. Johnsson was skating with Auston Matthews and Kapanen, but the team’s latest depth chart shows him on John Tavares’ left wing (with Mitch Marner on the right) on the top line. Johnsson might not have the talent Matthews, Tavares or Marner possess, but he hasn’t looked out of place. He has the potential to be a scoring winger for a long time. Kapanen, too, is having a strong scoring season. In 47 games, he has 15 goals and 30 points. That’s fifth on the team. In the win against the NHL-leading Tampa Bay Lightning, he led the team with a plus-three. He’s had a recent goal-scoring drought, but he’s played well all season and proved he could be a capable offensive player during William Nylander’s holdout. He’s also a good penalty killer. If the Maple Leafs trade Kapanen or Johnsson with a first-round draft choice, Parsons’ rumor post noted, “you know that there is a huge piece coming back to the Maple Leafs.” And, if McKenzie’s correct, these young players would be two strong bargaining chips in a trade for a defenseman. But, who might that defenseman be? What Defensemen Might the Maple Leafs Be After? I admit, I don’t know what defensemen are on the market, nor have I heard many rumors. Although I have no insider information, I do know who I’d like the team to target – or at least inquire about. The NHL news suggested the Maple Leafs might target Alex Pietrangelo of the St. Louis Blues or Brett Pesce of the Carolina Hurricanes, and wondered if the Edmonton Oilers might trade Adam Larsson for Kapanen. Certainly, these defensemen might be in play, but let me throw two more names into the discussion. Each player, like Pietrangelo and Pesce, plays for a struggling team that might be looking for the kind of talent and/or draft picks the Maple Leafs could send its way. Two defensemen come to my mind. One is Shayne Gostisbehere from the Philadelphia Flyers and the second is Jake Muzzin of the Los Angeles Kings. Both the Flyers and the Kings are at the bottom of their divisions with little chance of making the playoffs and look to be sellers at the trade deadline. I’m not certain these defensemen are on the market, but I think they are strong players who both could fit the Maple Leafs’ needs. Gostisbehere’s first full season was in 2015-16, and he has been strong on the Flyers’ rear guard since. He set the NHL record for longest point streak by a rookie defenseman and has continued his strong play season after season, becoming one of the Flyers’ best offensive defensemen of the past decade. He’s also drastically improved his defensive play. Although his plus/minus this season is 24 lower than last season’s, that’s likely a result of the Flyers’ poorer win/loss record this season. Last season, the Flyers were 42-26-14 (98 points) and finished 3rd in the Metropolitan Division. This season, they’re 18-23-6 (42 points) more than halfway through the season and are in last place. There’s a chance they might not reach 70 points. On a team with that record, it’s tough to have a high plus/minus. This season, the 25-year-old Gostisbehere started December well, but only had one point in the final six games of the month. His plus/minus dipped, and he’s close to his career-low minus-21. Furthermore, Gostisbehere’s scoring is down and he might score less than half of his career-high 65 points from last season. In truth, few Flyers have had strong seasons, but Gostisbehere’s has been especially disappointing. He is not a big body at only 5-foot-11 and 180 pounds. But, he’s a player the Maple Leafs might call about, and given his season’s low numbers, he might be available. I think this 29-year-old defenseman, who is 6-foot-3 and weighs 213 pounds, should be of interest to the Maple Leafs. He’s also from nearby Woodstock, only 90 minutes down the 403. I believe that matters, and it might mean something to the team. Perhaps Muzzin grew up cheering for “his” Maple Leafs. This season, Muzzin has had scoring ups-and-downs, suffering from a number of droughts. That he often plays on the man advantage suggests he should be getting more points. Looking back at Muzzin’s record, he had a disappointing 2016-17 season (only nine goals and 28 points), but he has consistently been a 40-point defenseman for the Kings. In 2017-18, he reached the 42-point mark (eight goals, 34 assists) in 74 games. 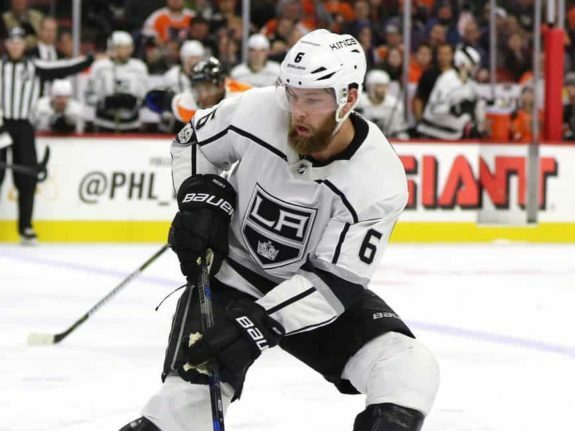 One has to believe this season, with four goals and 20 points, is an anomaly and that Muzzin would do more than he has so far in 2018-19 if he were on a stronger team. I like Muzzin’s size and his great point shot on the power play. He’s good on defense and moves the puck out of trouble. He’s not prone to on-ice gaffs and he can log big minutes. Although he isn’t a punishing defenseman, he’s a steady one. With the Maple Leafs, and here I’m thinking of Jake Gardiner’s woes, consistency is good. Similar to Gostisbehere, Muzzin’s scoring suffers from playing with a poor team this season. 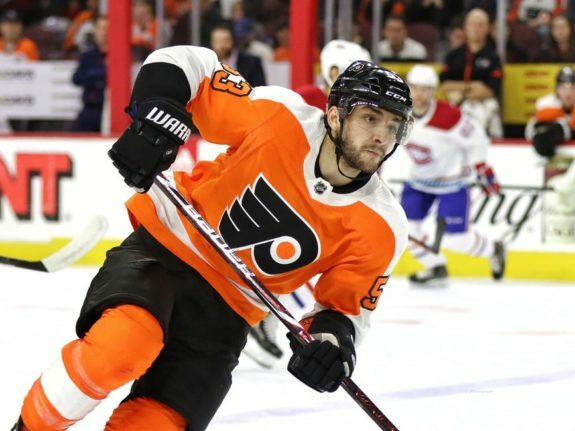 He’s never been the high-volume scorer Gostisbehere has been, but he’s a solid veteran who might fit the Maple Leafs’ defense corps well. Even with a team that has lost more than it has won, he’s a solid plus-10. The talk about possible Maple Leaf trades is beginning to heat up. The consensus is that the team needs help on defense. 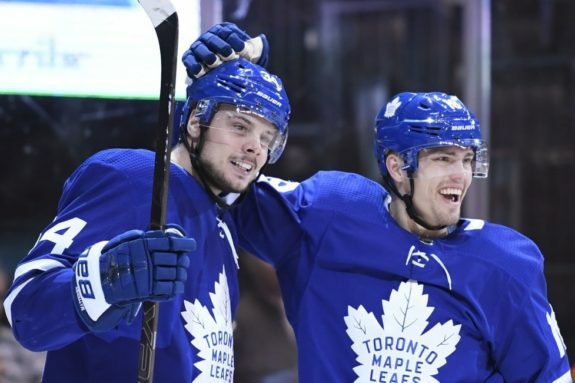 The rumors that the Maple Leafs are willing to offer some of their scoring power (Johnsson and Kapanen) will make it a treat to see what trade might happen.